Web forms have never been easier! 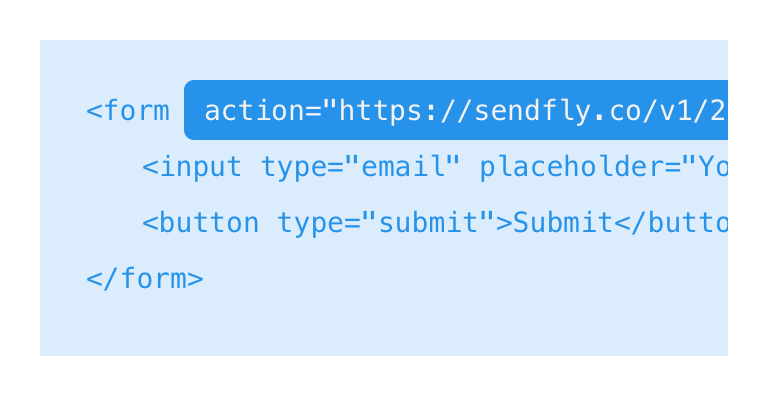 Send forms to your email with Sendfly! Ever feel like some things are more complicated than they need to be? Yeah, we do too! 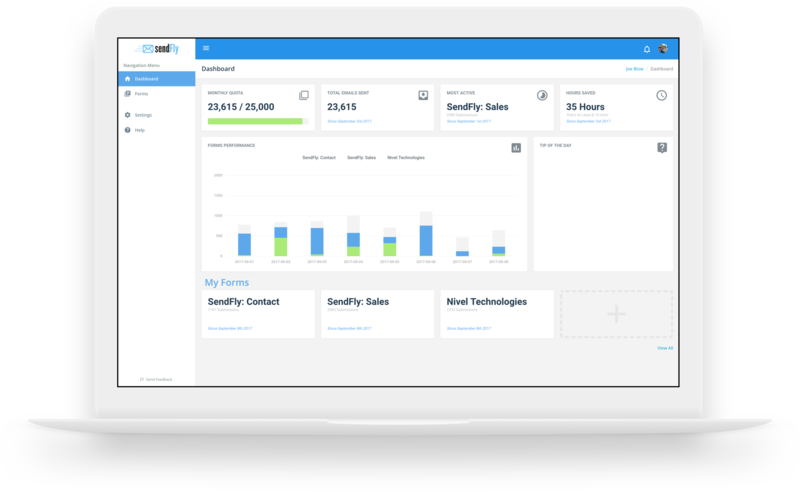 With Sendfly you can setup reliable contact forms, no programming necessary. Built with proven technologies developed by Amazon and Google. If there’s one thing we all wish we had more of, its time. Don’t spend countless hours doing the same thing over and over again. With the features you need, a simple copy & paste will have you up in no time! No more hassling with third party plugins and libraries to protect your inbox from spam and abuse. Industry leading spam protection is just a single click away. Looking for that submission you received months or years ago? No problem! Every form submission is logged and accessible through our dashboard. Research shows that the quicker you're able to reply to your customers, the better. Every minute counts. Your form submissions will be on their way seconds after users click submit. We're here for you. Talk to a real person when you need one the most. A member of our development team will be happy to help. Get started today with a 7-day free trial!